In recent years, the bike industry has realized that most riders don’t race, and so the racing bike has been renamed: It’s now called a “road bike” or a “performance bike.” In the minds of most cyclists, a performance bike has narrow tires, no fenders, no lights, no racks. My randonneur bikes (above) don’t fit that pattern. People ask me: “Is that a touring bike? Or is it a rain bike?” The implication is: That bike must be slow, because it has fenders, lights and a rack. Let’s move away from bicycles for a moment, to another popular mode of transportation: cars. Imagine going to a car dealer, and asking for a “performance car.” What if the dealer offered you this model? 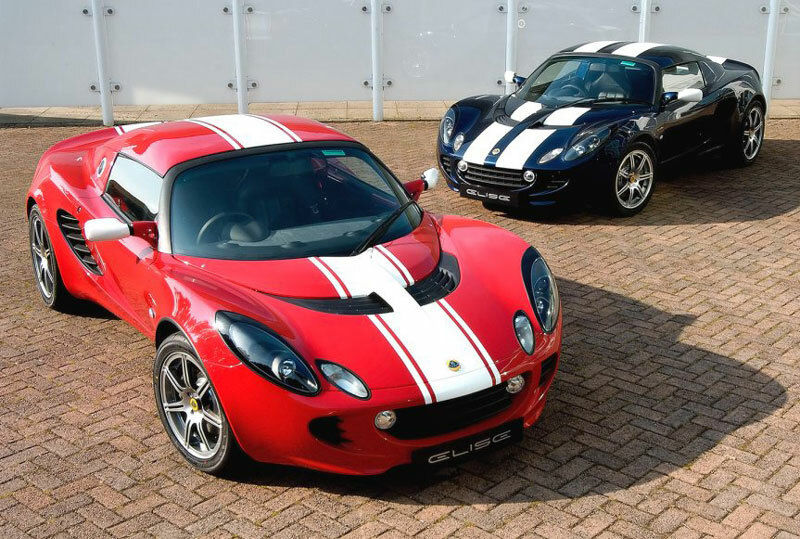 The Lotus Elise is one of the most radical sports cars you can buy in this country. Superlight and with a great chassis, it is at home on curving backroads as well as on the racetrack. But wait a minute, how can the Lotus be a performance car, when it has lights? Fenders that don’t come off? Two seats and even a trunk? Shouldn’t we call that a “touring car” or a “rain car”? Somehow, in the sports car world, nobody thinks a car is less sporty just because it has lights, fenders and can carry a few bags of groceries. One day, you can commute to work in the Lotus, and the next day, you can race it on the track. Why can’t “performance bikes” be fully equipped for the real world, while still offering exciting performance? Perhaps it’s the racing stripes that make the Lotus look sporty in spite of its “touring” accessories. Will adding stripes to my randonneur bike make it look faster in the eyes of most cyclists? This entry was posted in Our Bikes. Bookmark the permalink. add racing stripes and paint it orange. I hear orange makes a bike faster. I have a collection of over 20 bikes, many of which are super light carbon fiber racing machines with titanium bits and pieces. They are a fun to ride on days when I feel like playing at being a racer, or to mix it up on fast group rides. Lately though, mostly as the result of finding BQ, I’ve rediscovered the fun and beauty of the basic road machine. My 650B, fendered and racked Rivendell and Kogswell machines are just a blast to ride. Today, I took delivery of a new Pashley Clubman with 700×32 tires, fenders, and large saddle bag. I find that these rando machines are not only fantastic to ride over long distances, but are just as fun for short and fast jaunts. I’m glad that I’ve stopped (mostly) drinking the Koolaid foisted on me by the marketing and media folks employed by the racing bike manufacturers. It’s great to just ride for the sake of riding and discovering new roads rather than training or fretting over weights, speeds, and max efforts. Jan, I’ve been thinking for a while about exactly this analogy, with the additional twist that if you didn’t want the Formula One car because you wanted to carry more groceries, the salesman would then offer you a full military spec HumVee: “Well, if you need to carry stuff and travel on bad asphalt in downtown NY, then of course you’d be better off with one of these.” Between the Formula One race car and the HumVee the typical US bike store has few options, though at least some of them stock a few Yugos for those of us that just want to be sensible. Why sensible has to mean low quality and dreadful performance is a mystery to me, though. You think a Yugo is sensible?!?!? Have you ever driven one? I have – it’s pretty much the pinnacle of low quality and dreadful performance in the auto world. A more appropriate example would have been a Honda Civic or VW Jetta. I believe the point was that most bikes sold with fenders and lights are about Yugo quality and price… The bike industry cannot see anybody spending premium money on a non-racing bike. Witness that Shimano’s touring pedals came with the crappiest bearings for years, until they finally decided to offer a second model with Ultegra-level bearings. That’s a beautiful bike and I am envious. I also agree that the cycling industry has a huge blind spot for bikes like randonneurs (or “city bikes” or what have you), in favor of yet-another carbon fiber non-necessity. 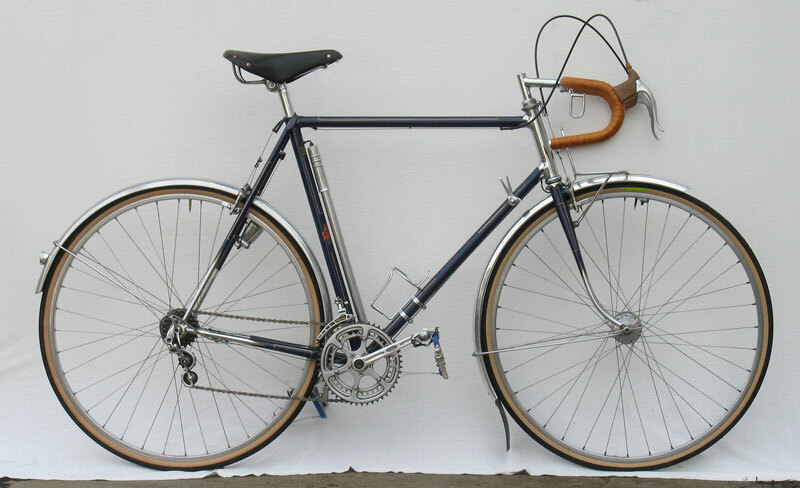 A randonneur is exactly the kind of bike I’d buy IF I could afford another bike. But if you do race (which I do) and can’t afford 20 bikes (I certainly can’t), you’ll probably find yourself driving to work (and hauling kids to daycare, etc.) in your F1. You can add fenders and a car seat to an F1 but it’s hard to subtract from a Lotus. (in this analogy, anyway). My particular gripe is that cyclocross rigs — which ARE excellent multipurpose machines, almost by definition — are increasingly more race-focused. No eyelets, 36/39T rings, super knobby tires etc. But if you do race (which I do) and can’t afford 20 bikes (I certainly can’t), you’ll probably find yourself driving to work (and hauling kids to daycare, etc.) in your F1. There is a solution to that, and it’s called sports car racing… In fact, most people who race cars don’t own single seaters, but they race sports cars like the Lotus, which must be equipped with fenders, lights, etc. Similarly, the French randonneurs had rules in their competitions that required lights, fenders and racks. That makes it easier for people to use their racing equipment in everyday use. However, to continue the analogy, we (in the USA, anyway) don’t have the SCCA option–there’s no cyclosportif division in cycling which evens the playing field to something equipped for real-world use. For that matter, brevet clubs don’t ordinarily enforce “real-world” equipment, and there’s no equipment restrictions on any RUSA event beyond the local legal minimum lighting requirements for overnight rides, and most riders locally opt for the “racing bike + accessories” approach to developing a randonneuring machine. Few use fenders here on the semi-arid Front Range, though a large minority use generator lighting and baggage on longer (600K) rides. However, how big a performance deficit is there for a 3lb weight penalty for lights, fenders, and and a small front rack? I’d imagine a support team or neutral wheel service is a bigger deal. My club (RMCC denver, CO) puts on a “challenge series” of endurance races that is explicitly competitive, and the races unfold much like the sharp end of a local brevet–a moderately high pace in the opening hours that shells the slower and less fit just through simple attrition. The attacks and tactical racing, where acceleration is a significant factor, don’t happen until the usual suspects are long gone. Based on the results, the races turn out much like the (non-competitive) brevets, with the addition of a sprint finish if anyone is left riding in together. It is pretty friendly, overall. Of course one of the interesting points when comparing race bikes to race cars is that race cars are MUCH safer than street going passenger cars while race bikes are not. I attended the Global RallyCross race here in Washington a few weeks ago. RallyCross is basically the automotive equivalent of cyclocross and the cars raced are highly modified subcompacts (and are required to be street legal). We witnessed a Mitsubishi Evo come up short on a jump and go end over end (here’s the video: http://www.youtube.com/watch?v=9NbAFNI3obg&feature=feedf). Another car flipped over on a corner and yet another went sideways into a concrete barrier at high speed. In each case the driver walked away without a scratch. Had these crashes happened in the stock, non-racing version of these cars there would have been serious injuries, and in the case of the Evo a very likely fatality. Now compare this to cycling where as a race mechanic I’ve seen more than my share of bikes (including many steel bikes) suffer race ending and injury causing failures resulting from often minor crashes. Seems odd that in one sport racing technology actual results in a safer product while in another it results in a less safe product. Your analogy for a practical bike is…a Lotus Elise? A car with an every-day practicality of nearly nothing? A car that does well on a race track, but is doesn’t drive very well on the road? Is hard to get in and out of, has a tiny truck, no power steering, and the ‘convertible’ option can’t be driven in the rain because the roof leaks. I don’t think that makes the point you think it does. 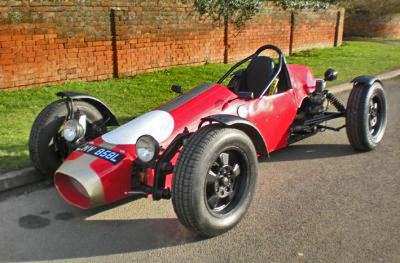 The “radical” Lotus has lights, fenders and a (minimal) trunk. That makes it more practical than most racing bikes – my point exactly. And the lotus is a lot less likely to disappear. I just had stripes tattooed on my legs, so any bike I ride goes faster. @skvidal, everyone knows, white is the fastest color. cycling world is weird….witness the motorcycle world — Cruisers, touring bikes, standards, sport bikes, dual sports, adventure bikes. This is an interesting analogy between bicycles and cars on light & fender. Though I think there’s some difference between them. Driving the race cars with high-power engines can easily run faster than the regular sedans. Many people buy racing road bikes, very light bikes with high-end components, and think they can ride faster too. But they forget that the “engine” of a bicycle is their legs. You raise a good point. One reason I picked the Lotus Elise as the car analogy is that it does have a Toyota engine that isn’t particularly powerful… The performance comes from light weight and good handling, not brute power. this is silly…if not ideological. I have a sport touring bicycle — a steel frame made by a well-known young US framebuilder with all the fixings: low-trail, “french fit,” front rack with Berthoud 25 bag, Honjo fenders, SON hub w/ Edelux and integrated rear lighting, 31 mm 700c wheels with GB tires, options for front low-riders and rear rack as well, Berthoud leather saddle, etc. This 26-ish lb bicycle rides wonderfully and I definitely put down some serious mileage with her. But, when I want to join in a fast club ride or enter a race, I simply will not ride my sports touring bicycle. I’m reaching for my 16lb Specialized carbon fiber racing bicycle with 25mm tires (well, 26mm with HED C2 rims) on the way out of the door. This bicycle is simply lighter, faster, and “simply goes.” I do not need to bring any more than what can fit in my jersey pockets nor do I need lighting or fenders. This kind of road riding is all about minimalism, taking what is essential and leaving the rest behind. And I love this kind of riding as much as I love long tours or brevets or permanents or centuries or weekend bike camping trips. One annoying thing about Bicycle Quarterly and Jan Heine’s opinions (and for that matter the rest of the cycling industry), is just how ideological everyone is; it is always “my preferred bicycle is the best and all other types are impractical, slow, stupid, whatever…” You guys sound like a bunch religious folk or sectartarian Marxists sometime. Why does it have to be a “Us VS Them” kinda thing? Why not appreciate all quality bicycles and all good riders because bicycles are the coolest thing ever? Why isolate yourself? Maybe if the rest of the cycling industry took Bicycle Quarterly-esque bicycles seriously…and if Bicycle Quarterly took spartan race bicycles seriously (or at least understood them), then there would be a cross-pollination of ideas and maybe we can all have some progress on creating even more cool bicycles and cool attitudes to other cyclists instead of drawing a line in the sand and entrenching down in our narrow opinions. Why can’t there be something in between your 26-lb. “sport-touring” bike and the 16-lb. “racing” bike? Fenders weigh a pound, lights a bit less than a pound, so if you used a frame and components like your carbon bike, shouldn’t you come up with an 18-lb. bike that is the equivalent of the Lotus Elise? Nobody wants to take away your racing bike, but I think more people would enjoy spirited cycling if the “performance” bikes for sale would be a bit more practical. It’s about more choices, not about limiting what people can ride. If I ever race again, I will dust off my racing bike, too! I loved that bike, and I’ll always keep it. I’ve been testing some racing bikes this spring, and I greatly enjoyed them, too. However, I have found that fenders and lights don’t slow me down, nor do they affect how my bike feels. Just like Lotus owners probably don’t think their car would be faster or more fun if only it didn’t have fenders and lights. personally, I am interested in dedicated machines that do the job just right like an efficient, well-thought out tool. Choose the right tool that fits the job. Multi-tools simply do the job adequately. If I’m racing, I’m riding a minimal, lightweight race bicycle. If I’m touring, I’m riding my touring bicycle that I can live on indefinitely. If I’m commuting and locking-up in a high theft area, I’m riding my rusty-and-dented-but-trustworthy ’83 Trek that blends in with the surroundings and gets me from point A to point B without issue. A multi-purpose bicycle tends to be a jack-of-all, master-of-none kinda thing. The problem is really the poor decisions by consumers and marketing departments. I’m with you there. But the modern racing bicycle is a beautiful machine that would suffer if lights, fenders, racks, etc. were added to the design. If bicycles were knives, it would be the switchblade whose only purpose is to kill. Adding a corkscrew or a pair of tweezers sure might come in handy, but then it wouldnt be a switchblade anymore. As I said, for racers, a racing bike is a great tool, just like a Formula 1 car. Nobody suggests that Formula 1 races should be contested by sports cars. I just wish that the bicycle equivalent of a sports car was available at most bike dealers. I’m still confused by your article. So you’re saying the bike industry should cater to the “performance” market, with a performance bike being the equivalent to the Lotus Elise. But isn’t the Lotus living in a tiny niche of the car market? And isn’t that due to the fact that most people would consider the Elise to be pretty impractical? So if we accept that your “performance bike” is only interesting for a small portion of the bike world, then why would bike manufacturers care much? And the few people within that niche appear to have a bunch of options from the various custom and semi-custom builders out there, as witnessed in the reviews in BQ. Or are you making a false-consciousness argument about the people buying bikes, in that you believe that most roadies would be better off on less racy, more practical bikes? I’m not so sure about that either. Why does a weekend warrior need lights or fenders? Go to any good bike shop, and you’ll see dozens of fender-less, light-less “road” bikes for sale… So industry already is catering to the “performance” bicycle market – as they should. Why does a weekend warrior need lights or fenders? Why does a Lotus sports car need lights and fenders? >Why does a weekend warrior need lights or fenders? I’ll take a swing at this one. They don’t. However, the machine is more versatile and enjoyable with them, and loses very little relative to one not so equipped. Most non-racing car enthusiasts drive machines like M3’s and WRXs, and not Elises, despite the huge performance penalty of a back seat, AC, a car radio, and a usable trunk, because the car is more usable for what they ordinarily use it for–they’re less specialized. Or they have many cars, and it isn’t a big hassle for them to have something so specialized, because they’ve got their daily driver and their track machine on a trailer. If one participates in road-racing or essentially road-racing-like rides (relatively short daylight rides in competitive pacelines, dropped riders left behind; attacks and sprints to determine a winner at one or more points along the route), one absolutely doesn’t need (or even particularly want) fenders, lights or luggage. I like and used my road-racing bike for these purposes. It was supremely fit for this very specialized use, and if I still rode predominantly in this way, I’d continue to use a road-racing bike. I’d argue that a tiny minority of road-racing bike riders actually use their bikes in this way. They’re enthusiasts, spending relatively big money for bikes every few years, and using them for sporting purposes–just not racing or riding Wednesday Night Worlds. Ever. However, many go out alone or with a friend or two, ride around on the weekend, and enjoy the ride and get a bit of exercise. They often (locally, anyway) have a water bladder strapped to their back, a wedgepack with a spare tube and CO2 inflator on the bike, a minipump strapped to the bike, and a jacket and food stuffed into their back pockets for the day. Many others commute with a backpack and a change of clothes in case they get caught in the rain, with lights strapped to their handlebars all the time and clip-on quarter-fenders. How big is the performance penalty for full fenders, the means to carry a few items, and lights, and does it make the bike more versatile for what most road-racing bike riders actually do with their machines? Luggage gets weight off of the riders back, literally. Depending on how that luggage is designed, integrated into the bicycle design, and installed, it can make access to items within easy while on the move and more secure than jersey pockets. Lights lets the machine be used legally at night, opening half of every 24h to the rider. Integrating those lights makes them more reliable. Fenders protect the rider and the machine from road spray, slightly reducing maintenance and definitely improving the experience of riding on wet roads, especially with other riders similarly equipped. A paceline with all riders using full fenders is not much different than a paceline on dry roads, while a wet-road paceline on naked bikes is messy and deeply unpleasant. Even here on the semi-arid Colorado Front Range it isn’t a common summer day that doesn’t see an afternoon thunderstorm. The penalty is cost and weight. The fully equipped bike costs more, because they’re harder to assemble and require careful design. And they weigh 2-3lb more than a naked bike. (A 3lb difference in weight yields about a 12min difference in finish time over a rolling 750mi course). Of course, in practice, a fully-equipped bike probably weighs more than the additional parts, because they typically start with a 6lb steel frame and fork rather than a 3lb carbon-fiber frameset, but that’s a matter for the market and the manufacturers. Since my friends and I began riding bikes with fenders, there hasn’t been a ride that has been canceled due to “threat of rain.” I hear that “rain cancels” still is common on other weekend warrior rides. Last year, the local Cascade Bike Club got quite miffed when their riders were turned around during a ride in Mount Rainier National Park. There was fog, they did not have lights, and the park ranger did not allow them to proceed. thanks for the replies. It’s not that I really disagree in principle. I think one big difference between cars and bikes is that it’s much easier to own several bikes than it is to own several (sports) cars. So in my case I have a fendered, dyno-lit, racked Surly Cross Check with 37 mm tires. It’s an all-weather all-purpose bike which I ride to work, shopping, and on camping tours. For quite some time it used to be my only bike. If we want to continue with the bad car analogies I guess it would be a Volvo station wagon with some performance upgrades. So let’s assume I would turn the Gunnar into an “Elise” or buy a bike like the one pictured at the top of the post. Obviously I’d still need my Cross Check, as an Elise does not work for getting groceries or going on a camping trip. So for me a performance bike wouldn’t make much sense, since I’d still need more than one bike. And I can see why other people who own more than one bike would think so, too. I do acknowledge that for riding brevets the idea of a performance bike makes total sense, especially once you have to ride in the dark. But that’s not what most people do. What really confuses me, is the fact you haven’t asked yourself why the elise (or any other “performance cars”) does have lights and fenders? You mentioned that the performance of the lotus cars come from the light weight not from a big engine. I’m pretty sure lotus would change things like lights and fenders etc. for a better performance, but they utterly can’t. Because nobody would buy a car that is apparently illegal for street use. And the history of lotus is tightly knit with racing, but no car manufacturer can earn money just with racing, so it is obvious that they mass produce cars for legal street use. And besides all the laws, do the math, how much more does a second car cost compared to a second bike? Please don’t get me wrong, I’m an avid reader of BQ and I greatly appreciate your knowledge and your work, but this analogy isn’t correct in my opinion, because you disregarded several facts. Just to make things more clear, what I’m trying to say is you refer to things (lights, fenders, etc.) from the lotus, which are added because lotus had to (laws) , but in the end DECREASES the performance of the car (but ads safety and versatility). And that makes the analogy incorret in my opinion. You can buy cars that don’t have integrated fenders. 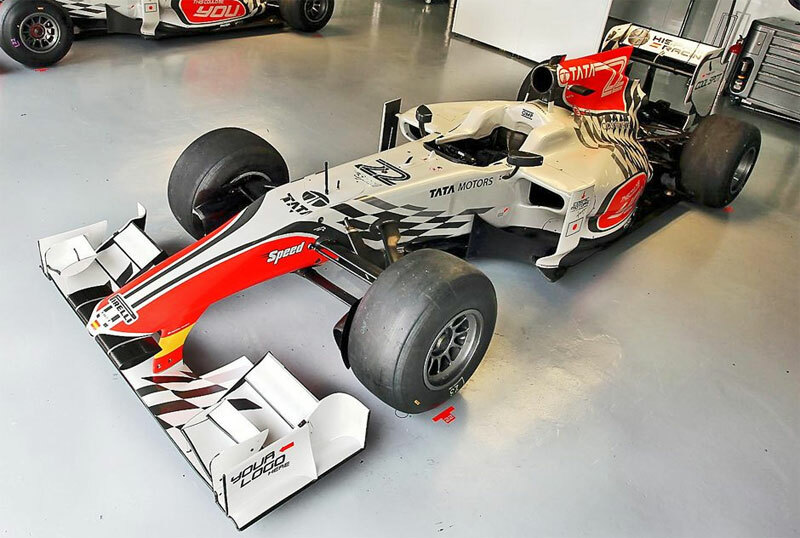 The Formula V race car in the photo is street-legal, but nobody wants it. I bet even if Lotus were able to sell a car without fenders and lights, people would prefer the one that is equipped for the real world. And nobody would think it wasn’t sporty. The performance penalty due to well-integrated lights and fenders on a bicycle is minimal… but the benefits are huge. I’d say they are already available: cx bikes, for example. I see your point about cyclocross bikes being more versatile than a racing bike. However, cyclocross bikes cannot be ridden at night, in the rain, etc., unless you clamp on lights and fenders – a cyclocross bike is more like the Formula V car in the original post. When I said “the equivalent of a sports car,” I meant a performance bicycle that can be ridden in the real world, just like a sports car can be driven at night, in the rain and even with some luggage. I want the Lotus Elise, not the Formula V car. That’s a poor assumption to make, Jan. I see little difference between a cyclocross bike and the randonneuring style bikes that are heavily advertised here. This bike easily allows fenders, a set of racks, a dyno light, and tires at least 35mm wide (haven’t tried wider, and don’t feel a need to, but that’s another discussion). I’ve ridden it on centuries, taken it for a week long tour, and commute throughout the year in upstate NY. This bike has all the features of a steel touring bike, without weighing quite so much. Can you elaborate on how a cyclocross bike isn’t suitable for the real world? The 1954 Singer weighs 25.5 lbs. fully equipped with fenders, lights, rack and even a pump. I can’t think of a similarly-equipped ‘cross bike in my size that comes close to that weight. All the adjustable sliders on your rack and fenders weigh a lot. They also flex, resonate and are more likely to come loose. That Singer is on its original fenders, and I never have tightened or adjusted them in the 8 years or so that I have owned it. Just like the Formula V car with the bolted-on fenders and lights isn’t really the same as the Lotus with the integrated fenders and lights. If you look over our blog series “Our Journey of Discovery,” you will see that we used to ride racing bikes, then moved to custom-built cyclocross-style bikes… before realizing that we needed a more purpose-built solution for “real-world” riding. Diversion from the conversation…is that Singer a new bike? Awesome! The Singer was made in 1954. Did PBP in 1956. Owned by the same rider for 50 years. It was renovated in the 1970s with modern (Huret Jubilee) derailleurs and Mafac centerpull brakes. Another 20 years later, the owner got a new Singer, and planned to use the old one as a “rain bike.” He obviously wasn’t the youngest any more, and he didn’t ride much in the rain any longer, so he sold the old bike. Ernest Csuka put me in touch, and now it’s mine. It combines the best of the 1950s (geometry with more fork offset, lighter tubing, workmanship) with 1970s components. Even Singer wouldn’t be able to make you one like it today. It rides wonderfully, and I’ve taken it on a few brevets. In fact, it’s the bike that we featured as the “sample geometry” for a 700C randonneur bike in our big study of bicycle handling. We featured the bike in Bicycle Quarterly Vol. 8, No. 3. Click on the link to see another view of the bike. I’m curious; if you were to have a similar bike to this Singer but with 65Os instead of 7OOs, would you think it to be faster? 1. He rides a 52cm frame while I ride a 65cm. He can get more aero during descents, doesn’t deal with the ridiculous amount of frame flex that my 65cm gives, and has the full advantage on the long distance rides given his height. I wonder if these carbon steeds that your commenters stand by would be made faster with similar tires. Or do you find your own Singer to be optimized with 7OOs? Jan, I don’t think I’m alone in wondering which bikes you’ve been testing. Care to give us a sneak preview? I agree with you Jan. I race road, track, and cyclocross and have bikes for that but 80% of my miles are on a Bianchi Volpe with a rack, fenders, and dynamo lighting. Those miles are for commuting, training, tours, or running errands when it is going to be potentially wet or dark. Most of the time it is wet or dark around here! At least when I have time to ride. The Bianchi is a good bike but it is a beast. The Surly front rack alone weighs more than some carbon race frames. The weight doesn’t bother me. It would only bother me if I was racing. I get a lot of funny comments about riding a touring bike on a training ride with other racer types riding racing bikes- but I can always keep up on the Bianchi. I have to enter a race to get dropped. The Bianchi gets the job done but it would be better and lighter if all the after market parts (fenders, racks, bags, lights) were made specifically for the bike. There is usually a second class fit with aftermarket parts. For example- the Surly rack is so heavy because it has to be adjustable to fit a wide range of bikes. You could have a much lighter and stiffer rack if it was made specifically for the frame and you could eliminate most of the attachment hardware. So in a nutshell- if you are not racing and there is a chance you would feel the need to ride when it is either wet or dark, you need a bike with fenders and lights. If there is chance of rough pavement or gravel, a long ride, running errands, or you are heavy- better throw in clearance for big tires and a way to carry stuff. If you want a bike that covers those bases- which would be most people, even if they don’t know it- good luck. You’re going to be doing some tinkering. A lot of shops don’t carry a single bike that would fit the bill. Wouldn’t it be better to be able to buy a high performance (but not racing) bike that has integrated fenders, lights, and such? What of tire widths then? I recall you wrote earlier about a wider tire required less deformation due to shape of contact patch and thus less rolling resistance… Would 32mm be optimal for maximum speed? To that degree, I suppose 65Ob would be ideal for wider tires. Your planing explanation makes a lot sense for me, the flex has only been a noticeable problem when dealing with shifting the front derailer while pedaling hard, or occasionally with brakes… Otherwise I was operating off of what more experienced mechanics have told me. I remember seeing a photo of you riding a cyclo-touring/camping bicycle with front and rear integrated racks that had a ‘diagnatube’ and stays. Did you find that tubing to be beneficial for loads? I considered it for a frame I was brazing for the above stated reason, but this stands to question its importance. It would be great, if I could buy a new “high performance” bicycle with integrated fenders and lights, without resorting to a custom job. BMW built its famous 2002 marketing campaign on the ‘sports sedan” moniker. One could go fast, yet carry stuff. There continues to be a market for the sports sedan today, no? Ahh, you’re all missing the point entirely. Performance cars are all about trying to impress chicks. 99% percent of their drivers have only a small fraction of the skills necessary to drive them to their full potential. What sells is image – be it a Lotus or a Trek. Want to sell randonneur bikes to the masses? Got to create an appealing image. It’s that simple. Example: last Thursday I commuted to work on my “racing” Ritchey Breakaway, which I take on the train, wearing my normal clothes. Due to a fatality on the tracks the trains shut down, so I decided to ride the 50 miles home. I had some cycling shorts in my desk drawer but no pocketed jersey, and since I wanted to bring a jacket and some oat bars I had to bring my backpack. Even a modest randonneuring bag would have handled these small items easily. Example: riding with my girlfriend. We come to a place selling artichoke bread: truly delicious. However, I can’t buy any because there’s nowhere to store it other than to stuff it under my jersey. I agree with Jan. Racing bikes definitely have their place. I like chasing Strava segments on rides and extra weight isn’t welcome for that purpose. But it’s perverse virtually every bike sold in the US is modeled off a racing machine of some sort, either road, mountain, cyclecross, or track. Nobody says the “overall performance bike” should be forced on anyone, but the reality is the option is barely available unless you look very hard, like at Box Dog Bikes in San Francisco. I’d buy a performance frame to ride on sunny, no chance of rain days, but without the rack, the gear goes on my back which complains, without the lights, I get run down by cars… so I’m back at square one. There are a few semi-race bikes out there that come stock with fenders and lights. I have a Gazelle Champion Mondial Semi-race. Came stock with very light fenders, rack mounts, back rack (very light aluminum) and dynamo lighting. It also has a more upright handlebar and not drops, mavic rims. These Semi-races have the same 531 frame and nice components, but they are not very popular among Gazelle collectors and owners. They would rather have A, AA or AB. I cherish my semirace and use it for short trips all the time. Very lovely bike.